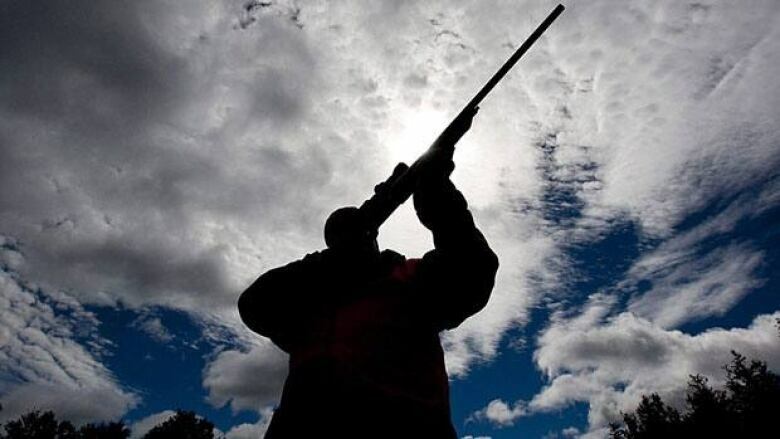 Work on destroying the records in the long-gun registry is "well underway," according to the RCMP, but the data on Quebec residents has been set aside because of the ongoing legal challenge in that province. Work on the destruction of records in the federal long-gun registry is "well underway," but an Ontario lawyer trying to get an injunction to stop it has been told no data will be erased until early October. An injunction has already been granted in Quebec and records in the registry pertaining to residents from that province have been separated from the rest of the RCMP-managed database. The RCMP told CBC News that it is a lengthy and complicated process to dismantle the database and that work on destroying the records began not long after Parliament passed Bill C-19 in April. The controversial bill ended the requirement to register non-restricted firearms (rifles, shotguns and other long guns that fall under the classification). It also ordered that the information in the existing database be erased. Restricted and prohibited firearms still need to be registered and a licence is still required to own a firearm. The RCMP manages the Canadian Firearms Registry and starting on May 20, the registration records were no longer available through its online database. That means police can no longer check the registry. Police agencies that argued in favour of keeping the registry said it was accessed thousands of times a day and that it was an important investigative tool that helped trace guns to their owners. Shutting down the registry is a multi-step process, according to the RCMP. "It is a complex IT project involving the destruction of a large amount of data that is part of an integrated database, and will take some time to complete," a spokeswoman for the Canadian Firearms Registry said in an email. The Quebec government launched a legal challenge almost immediately after Bill C-19 was passed and it successfully won an injunction to protect the data before it was destroyed. As a result of the Quebec Superior Court ruling, Quebec residents still have to register their non-restricted firearms with the RCMP. Existing records for Quebec gun owners have been separated out from the rest of the database and are safe from destruction for now. They are also still accessible through the online database. "The court order is currently in effect until further notice," Julie Gagnon said in the email. As for the rest of the registry, she said: "The process leading to the destruction of non-restricted firearms registration records is well underway." The process is underway, but according to lawyer Shaun O'Brien, no actual records have yet been destoyed. O'Brien is acting on behalf of the Barbra Schlifer Commemorative Clinic in Toronto, a place that helps women who are victims of domestic violence. The clinic, supported in its case by the City of Toronto, has made the application for an injunction to protect the gun registry data. The case is scheduled for a hearing Sept.13 in Toronto. "On cross-examination and under oath, the government's representative advised us that the records would not be deleted until starting the first weekend of October," O'Brien told CBC News on Friday. She said that while police can no longer look at the database, chief firearms officers can still access it. Provincial and territorial firearms officers are responsible for licencing and other administrative duties. The records are still in the database and the IT infrastructure to support it remains intact, according to O'Brien. "The judge hearing the injunction is well aware of the date in October when destruction of data would commence and all parties have ensured that our injunction is being heard before then," said O'Brien, adding that a quick decision is also expected from the judge. On Thursday, the Canadian Shooting Sports Association kicked off a campaign that it says is in response to the legal challenges. The group is encouraging owners of non-restricted firearms to swap and sell their guns to thwart the injunction efforts and ensure that any information left in the database is "garbage." The anti-registry group said the registry was never useful and that it was an added burden for law-abiding gun owners. There are an estimated 7.8 million firearms registered and of those, about 90 per cent are non-restricted firearms.